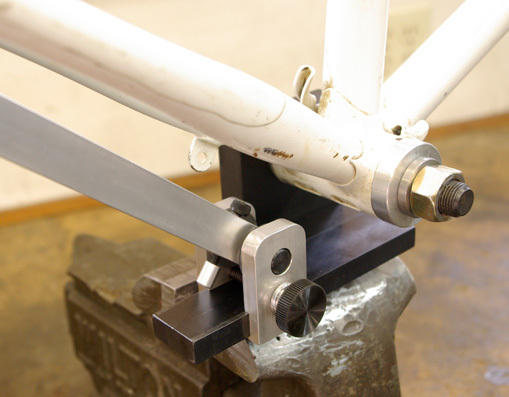 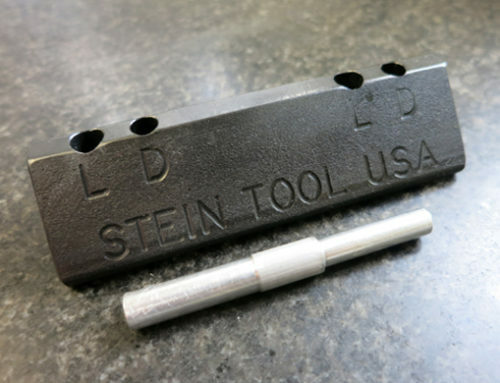 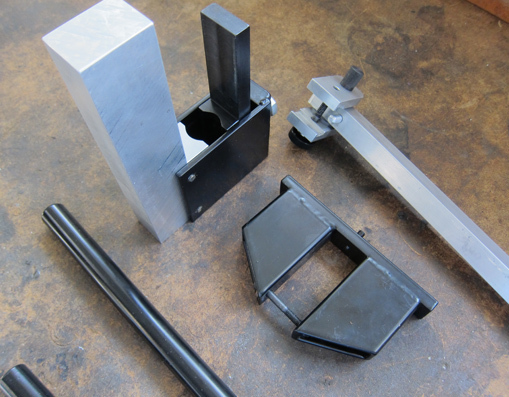 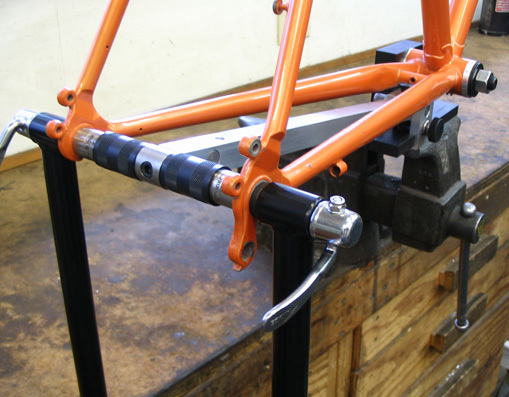 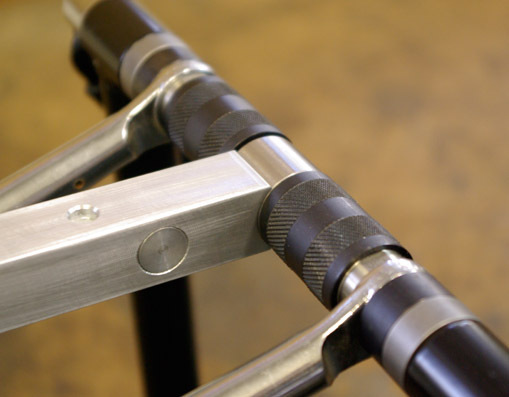 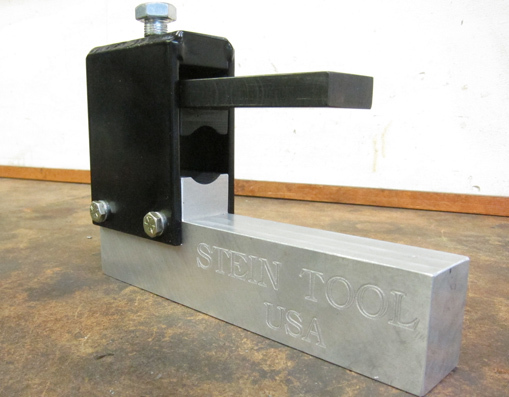 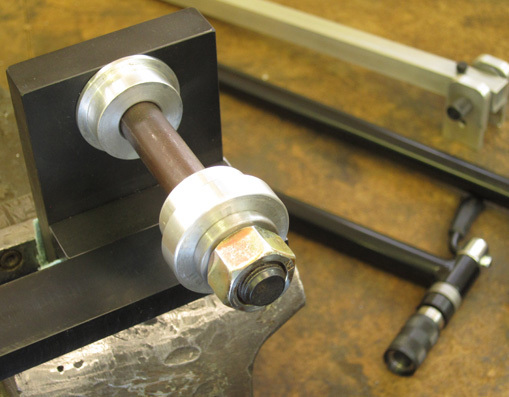 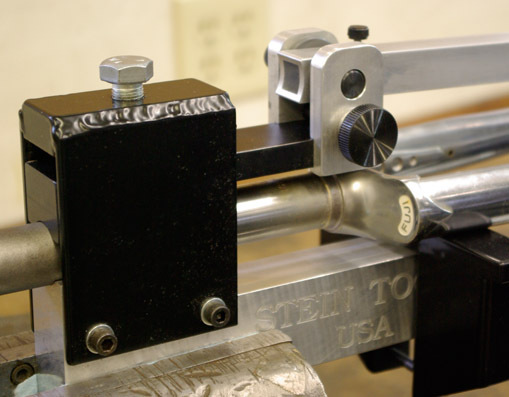 These tools, when used in conjunction with Stein Dropout Alignment tools, provide a reliable and accurate way to align forks and rear triangles of steel bicycle frames. 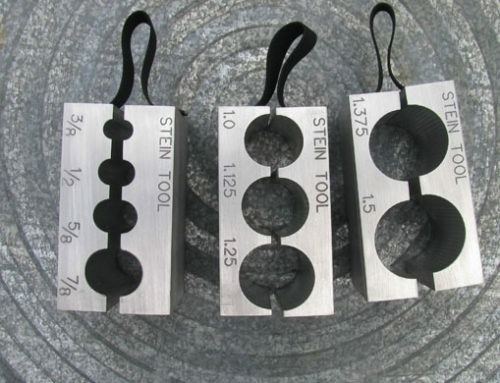 Continuing where dropout tools alone leave off, these tools provide the ability to see the spacing and concentricity of the ends of the cylinders, as well as the angular displacement of one cylinder to another in both a horizontal and vertical plane. 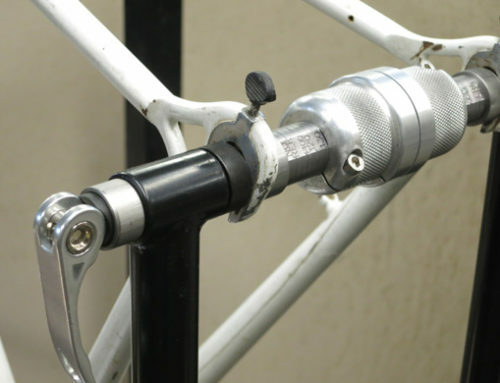 They also provide a three dimensional reference from the steering tube or the bottom bracket shell to the center line between the dropouts. 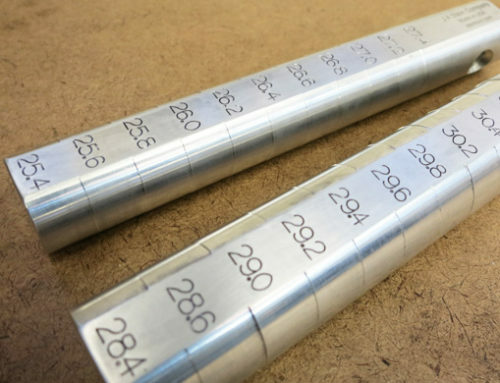 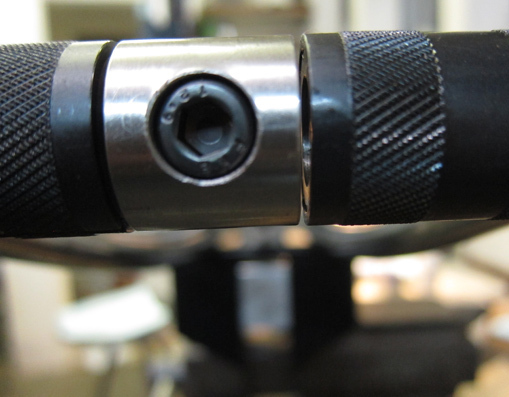 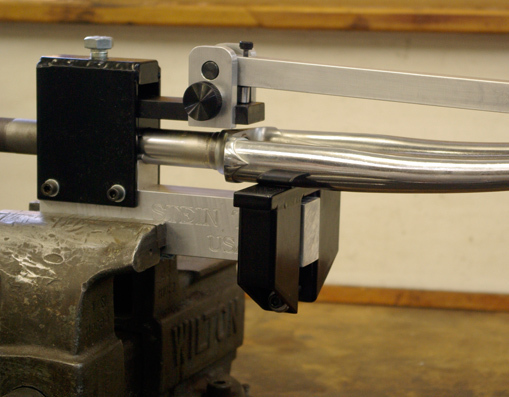 Instead of only comparing the ends of the dropout alignment tools to each other, they are also able to be compared to a cylinder on the end of the target arm which is on center line with the frame/fork and clearly indicates any error in alignment. 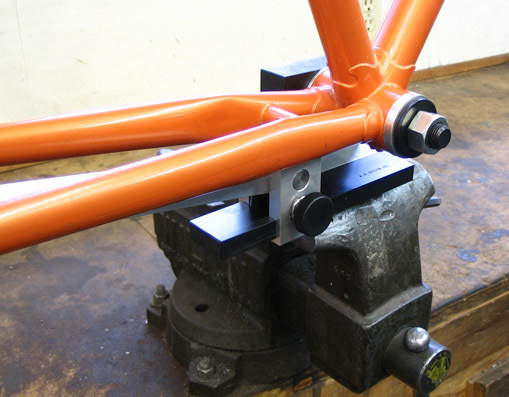 Designed for frames using 700C and 26-29″ wheels. 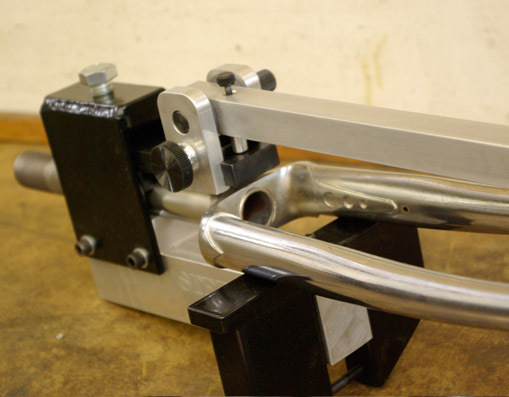 Machined from billet material, the v-blocks are very strong and very accurate and have a clamping capacity of 1″ to 1-1/4″ steering tubes. 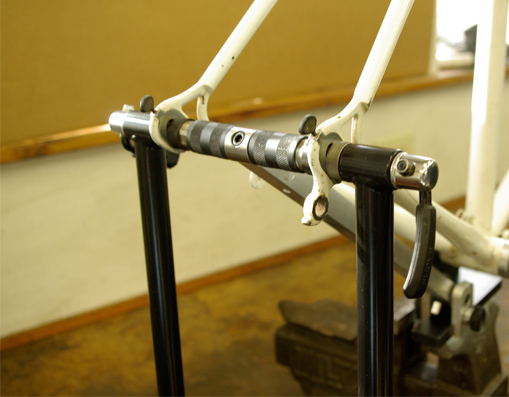 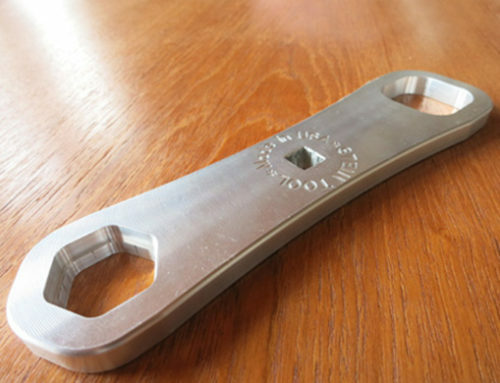 The Bottom Bracket Clamp accommodates 68mm and 73mm wide shells with an optional adapter available for 70mm shells.